An orphaned girl who goes to the same school as Ushio, Asako and Mayuko. Her father was very overprotective of her, and when he died he became an oni, causing danger to any boys who took the slightest fancy of her. This distressed her greatly, and she tried to commit suicide many times in vain. Ushio finally made her father realize his errors, and he left for the afterworld. 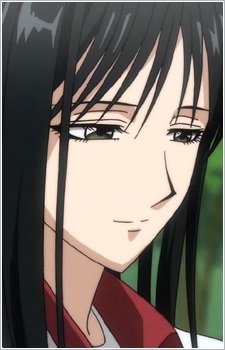 Thereafter, Reiko was able to lead a normal life, and became good friends with Ushio, Asako and Mayuko.